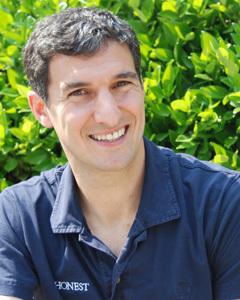 Honest Tea President and TeaEO, Seth Goldman is a special guest on this segment of Monday Night Talk! The results are in from Honest Tea’s National Honesty Index, the nationwide social experiment which took place in Boston on Friday, July 31st at Faneuil Hall Park. Seth calls in to discuss how Boston faired against other cities, the nationwide results, how men did compared to women and announces FoodCorps as the charity to which experiment proceeds will be donated. Do you have an topic for a future show or info on an upcoming community event? Email us at mondaynighttalk@gmail.com or "like" and post a comment on our Facebook page: www.facebook.com/mondaynighttalkon959fmwatd. If you're a fan of the show and enjoy our segments, you can either download your favorite segment from this site or subscribe to our podcasts through iTunes today! © Monday Night Talk with Kevin Tocci - 2015. Unauthorized use and/or duplication of this material without express and written permission from the show host and/or owner is strictly prohibited. Thee first Brockton Mayoral Debate of 2015 featuring Mayor Bill Carpenter, Chris MacMillan, Chris Hopgood and Jacob Tagger is simulcast on Monday Night Talk and Brockton Community Access! Brockton Community Access General Manager Mark Linde moderates the forums as questions are asked by WATD Managing Editor Christine James and host Kevin Tocci. Do you have an topic for a future show or info on an upcoming community event? Email us at mondaynighttalk@gmail.com or "like" and post a comment on our Facebook page: www.facebook.com/mondaynighttalkon959fmwatd. If you're a fan of the show and enjoy our segments, you can either download your favorite segment from this site or subscribe to our podcasts through iTunes today! © Monday Night Talk with Kevin Tocci - 2015. Unauthorized use and/or duplication of this material without express and written permission from the show host and/or owner is strictly prohibited. Monday Night Talk host Kevin Tocci and Ryan Stanton are joined by Jeff Hills, owner of Healthy Appetites Natural Foods, who brings in a variety of hot sauces to taste and judge. Laura Zerra, survivalist and star of the Discovery Channel TV series Naked & Afraid and WATD news anchor Erin Dale also participate in the segment as guest judges. For more information about Healthy Appetites and what hot sauces they have in stock, visit their website; HealthyAppetites.com. Do you have an topic for a future show or info on an upcoming community event? Email us at mondaynighttalk@gmail.com or "like" and post a comment on our Facebook page: www.facebook.com/mondaynighttalkon959fmwatd. If you're a fan of the show and enjoy our segments, you can either download your favorite segment from this site or subscribe to our podcasts through iTunes today! © Monday Night Talk with Kevin Tocci - 2015. Unauthorized use and/or duplication of this material without express and written permission from the show host and/or owner is strictly prohibited. 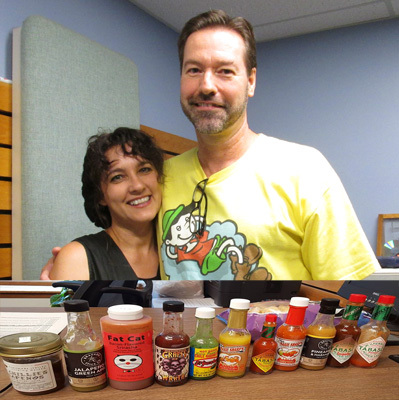 Health Appetites owners Jeff & Ilene Hills pictured with various hot sauces that were judged. 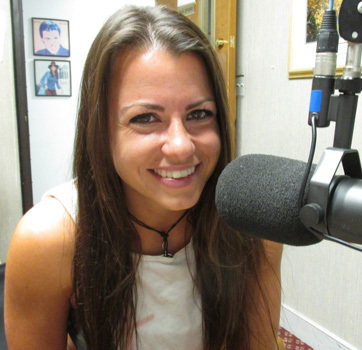 Survivalist Laura Zerra is a guest on this segment of Monday Night Talk! Laura, who has appeared on multiple episodes of Discovery Channel's Naked & Afraid and Naked & Afraid XL, talks about how she honed her skills as a survivalist and what led her to ultimately appear on television. She also discusses the current season of Naked & Afraid XL, how it differs from the regular show and some of the challenges the group faced during their 40 days in Colombia without the comfort of clothes, food or shelter. To learn more about Laura and follow some of her adventures, please visit her website; laurazerra.com/. Do you have an topic for a future show or info on an upcoming community event? Email us at mondaynighttalk@gmail.com or "like" and post a comment on our Facebook page: www.facebook.com/mondaynighttalkon959fmwatd. If you're a fan of the show and enjoy our segments, you can either download your favorite segment from this site or subscribe to our podcasts through iTunes today! © Monday Night Talk with Kevin Tocci - 2015. Unauthorized use and/or duplication of this material without express and written permission from the show host and/or owner is strictly prohibited. Massachusetts Governor Charlie Baker is a guest on this episode of Monday Night Talk! Governor Baker talks about a couple of different issues. First he discusses the letter that his administration and the state's federal delegation sent to the Secretary of Commerce and other federal partners urging financial assistance to cover the cost for At-Sea Monitoring for the Northeast fisheries. He also looks provides details about the released Brattle Group report that was done on Boston's failed bid for the 2024 Olympics and participating in the 2nd annual ALS Ice Bucket Challenge at the State House. Do you have an topic for a future show or info on an upcoming community event? Email us at mondaynighttalk@gmail.com or "like" and post a comment on our Facebook page: www.facebook.com/mondaynighttalkon959fmwatd. If you're a fan of the show and enjoy our segments, you can either download your favorite segment from this site or subscribe to our podcasts through iTunes today! © Monday Night Talk with Kevin Tocci - 2015. Unauthorized use and/or duplication of this material without express and written permission from the show host and/or owner is strictly prohibited. 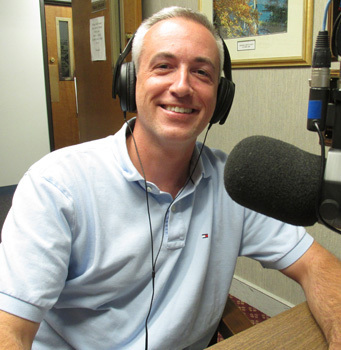 State Representative Mike Brady is a guest on Monday Night Talk! 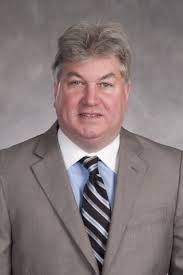 Rep Brady discusses his decision to run for State Senate, what the challenges will be in the race and what the issues will be. To learn more about Mike's campaign for State Senate, visit his website; bradyforsenate.org/. Do you have an topic for a future show or info on an upcoming community event? Email us at mondaynighttalk@gmail.com or "like" and post a comment on our Facebook page: www.facebook.com/mondaynighttalkon959fmwatd. If you're a fan of the show and enjoy our segments, you can either download your favorite segment from this site or subscribe to our podcasts through iTunes today! © Monday Night Talk with Kevin Tocci - 2015. Unauthorized use and/or duplication of this material without express and written permission from the show host and/or owner is strictly prohibited. The potentate of pigskin, Kerry Byrne is a guest during this segment of Monday Night Talk! 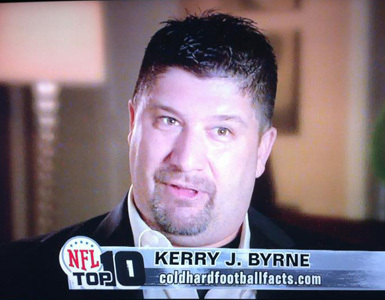 Kerry, who heads up the sports website, ColdHardFootballFacts.com, discusses the latest with Deflategate, a controversy over the release of air pressure in footballs during last year's AFC Championship game between the New England Patriots and Indianapolis Colts. The Patriots were fined and lost two draft picks, while their star quarterback Tom Brady is appealing a four-game suspension in federal court. Kerry also breaks down the AFC East, if New England will win yet another division title and ultimately how the conference looks for the 2015 season! Do you have an topic for a future show or info on an upcoming community event? Email us at mondaynighttalk@gmail.com or "like" and post a comment on our Facebook page: www.facebook.com/mondaynighttalkon959fmwatd. If you're a fan of the show and enjoy our segments, you can either download your favorite segment from this site or subscribe to our podcasts through iTunes today! © Monday Night Talk with Kevin Tocci - 2015. Unauthorized use and/or duplication of this material without express and written permission from the show host and/or owner is strictly prohibited. Attorney Jerry Benezra and WATD's Plymouth Correspondent Bobbi Clark are guests on this episode of Monday Night Talk! 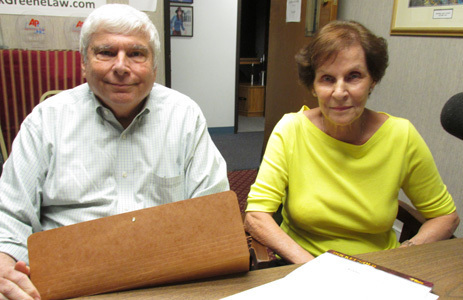 Jerry and Bobbi discuss issues surrounding the Plymouth Zoning Board of Appeals and how they denied a special permit to Kingstown Trucking in regards to removing 250,000 cubic yards of gravel from an area known as the Wood Lot. Do you have an topic for a future show or info on an upcoming community event? Email us at mondaynighttalk@gmail.com or "like" and post a comment on our Facebook page: www.facebook.com/mondaynighttalkon959fmwatd. If you're a fan of the show and enjoy our segments, you can either download your favorite segment from this site or subscribe to our podcasts through iTunes today! © Monday Night Talk with Kevin Tocci - 2015. Unauthorized use and/or duplication of this material without express and written permission from the show host and/or owner is strictly prohibited. 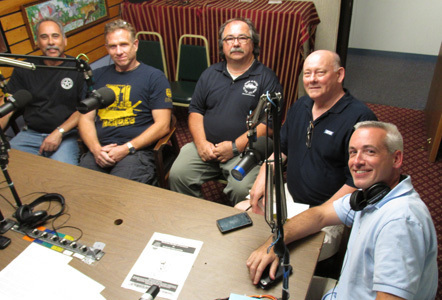 Monday Night Talk host Kevin Tocci and Joe Rossi discuss the 6th Annual Softball game as the Pembroke Police and Fire Department take on the Pembroke Chamber of Commerce! Chamber President Dave Shea, event sponsor Peter Brown, Pembroke Police Chief Richard Wall, Fire Chief Mike Wall and State Representative Josh Cutler discuss the history behind the event and give details to the charity that will benefit from the money raised: Pembroke Titans Against Drugs. Do you have an topic for a future show or info on an upcoming community event? Email us at mondaynighttalk@gmail.com or "like" and post a comment on our Facebook page: www.facebook.com/mondaynighttalkon959fmwatd. If you're a fan of the show and enjoy our segments, you can either download your favorite segment from this site or subscribe to our podcasts through iTunes today! © Monday Night Talk with Kevin Tocci - 2015. Unauthorized use and/or duplication of this material without express and written permission from the show host and/or owner is strictly prohibited. Pictured left to right: Chief Richard Wall, Chief Mike Hill, Peter Brown, Dave Shea & Rep Josh Cutler. State Representative Josh Cutler is a guest for this segment of Monday Night Talk! State Rep Cutler talks about the recent sales tax free holiday, cell phone tax legislation, and a new bill that he's co-sponsoring that will increase the penalty for trafficking the drug Fentanyl. Do you have an topic for a future show or info on an upcoming community event? Email us at mondaynighttalk@gmail.com or "like" and post a comment on our Facebook page: www.facebook.com/mondaynighttalkon959fmwatd. If you're a fan of the show and enjoy our segments, you can either download your favorite segment from this site or subscribe to our podcasts through iTunes today! © Monday Night Talk with Kevin Tocci - 2015. Unauthorized use and/or duplication of this material without express and written permission from the show host and/or owner is strictly prohibited.